You might be nowhere near jungle, but you still can have the reindeers roam around your lawn.The good news about the fiber optic reindeers is that they are robust and look awesome. 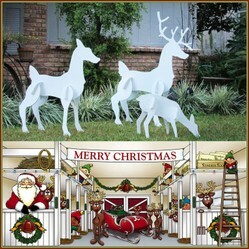 What's the beauty of Christmas without the beautiful large decorations of Reindeers? 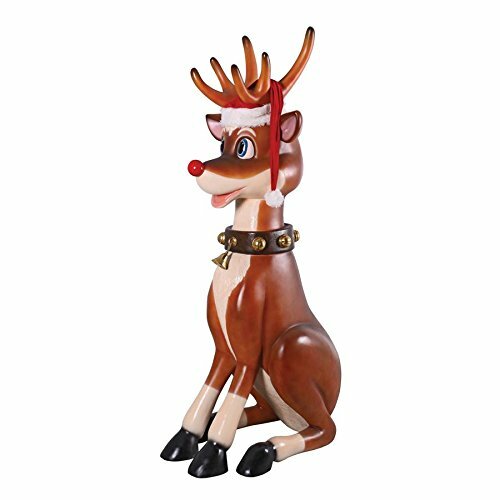 Obviously wooden reindeers look terrific on Christmas but they could rot in the heavy downpours, high quality plastic reindeers composed of marine grade cannot rot or deteriorate. Large lawn reindeers with straight and curved antlers gazing through the meadows are a beautiful sight. 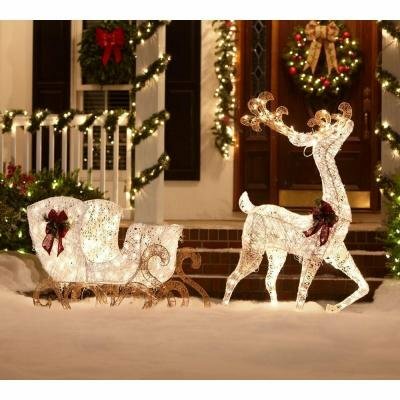 You can use Christmas large decorations with yard reindeer which are a low maintenance, lighted or non-lit decorations that look perfect. 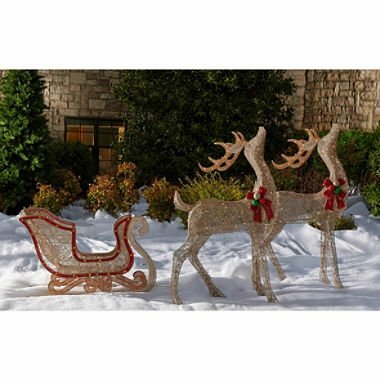 Whether it is broad day light or dense darkness of night, fiber optic reindeers bring vibrant, dazzling colours and all-weather friendly festive cheer to your lawns and backyards. All of us love the cute reindeers and Christmas brings the opportunity of remembering these peaceful animals grazing in groups with large watery eyes that are as innocent as a newly blossomed daisy bloom. Behold a giant glossy reindeer in your front garden shimmering in the trees. Of course you can also have creative art pieces of reindeers, indoors to adorn your tabletops with stunning art pieces, antiques and artifacts. 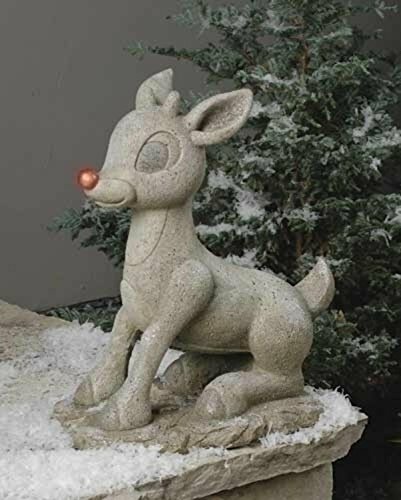 Beautiful Rudolph the red nose reindeer statues and lighted sculptures can add to the decor. 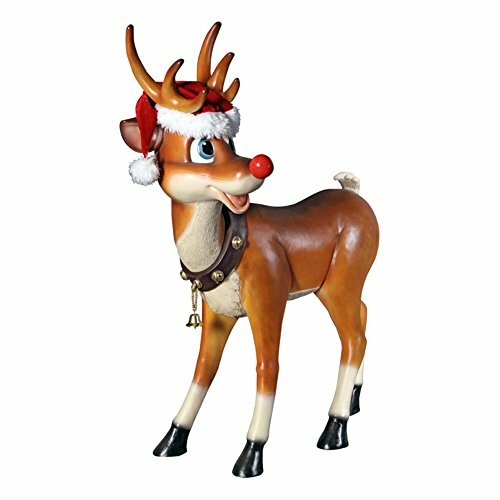 A reindeer covered in green coat with red bow and red nose is a gleaming contrast of colours and is an absolute hit for your holiday decorations for the Christmas season. 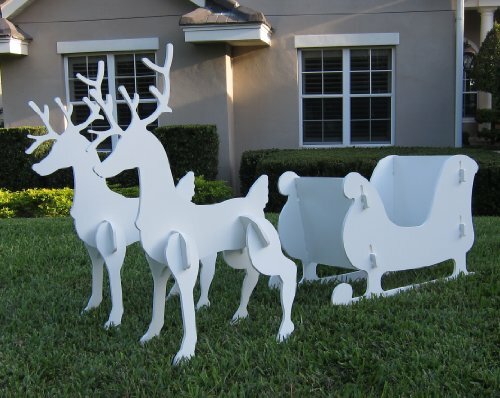 In addition, traditional birch wood reindeers, hand painted in an old fashioned matt paint look terrific on the turf lawns. A fiber-optic reindeer can bring plenty of festive applaud. Because at night, hundreds of pinpoint fiber-optic lights adorned in the body of the deer dazzle with mesmerizing shades. The body s made of resin sculpture which is robust to the changing climate and is at ease either in a snow-filled backyard or a cool breezy front porch. And don't worry... he won't really eat your grass! We know that the friendly Santa Claus' reindeer is a strong squad of flying reindeers traditionally held to pull the weight of the sleigh of Santa Claus. These Christmas spirited helpers of Santa help him deliver Christmas gifts on time. Clearly they have to be on time because all the kids in the world are waiting for his secret gifts. The reindeers that form the band of Santa are Dasher, Dancer, Prancer, Vixen, Comet, Cupid, Donder or Donner, and Blitzen. Now, you would wonder how did they get these pretty names. They are based on a poem "A Visit from St. Nicholas", and explain the foundation of reindeer's popularity as Christmas symbols. The cute reindeers do deserve these names. Don’t they? In addition, the popularity of the Christmas song "Rudolph the Red-Nosed Reindeer" has henceforth led Rudolph joining the list of Santa’s reindeers too. 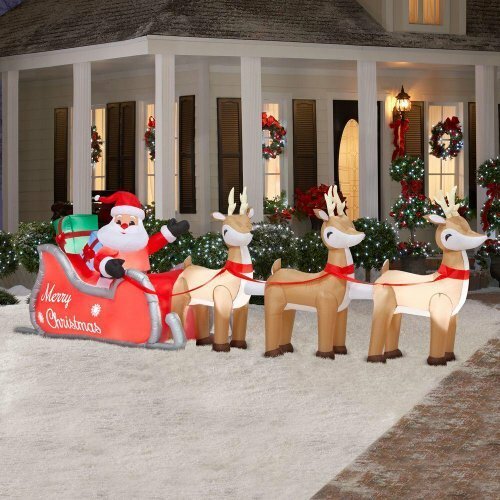 Your preferred choice of yard decoration? 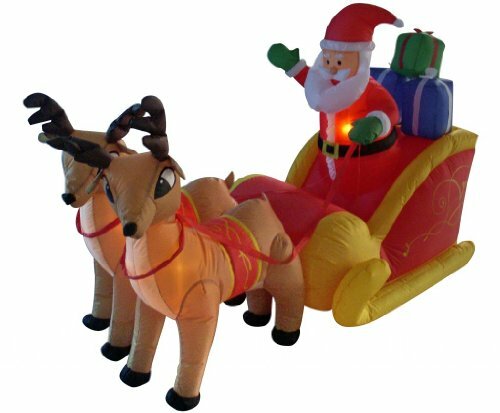 Giant 16 ft Inflatable Lighted Santa in Sleigh with Reindeer | Outdoor Christmas Holiday Decor for Yard or Lawn | A Festive Seasonal Gift! 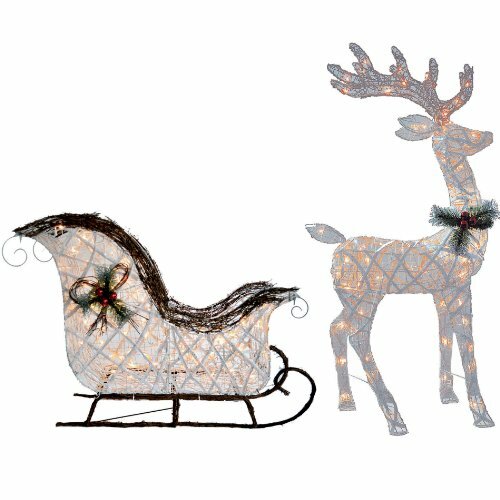 The original eight flying reindeers came from Clement C Moore’s poem also known as "The Night Before Christmas" or "'Twas the Night Before Christmas"
"On, Comet! On, Cupid! On, Dunder and Blixem! Do you like reindeers in the yard? 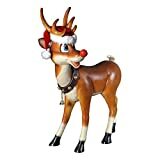 Rudolf reindeer is a favourite for Christmas decoration. It is so cute. I love that solar-powered Rudolph sculpture. That is my kind of Christmas decoration. It could be left out all year. @ologsinquito - I think large reindeer require larger lawns; however they are a beautiful sight. I do. But a lot of other people must like them as well. They are very difficult to find in the stores around here. Perhaps you dream of a country garden dressed in sun-loungers and sun-bathed beaches or moorland setting with garden bridge plans and breathtaking waterways to stroll along.